this week’s status update is again brought to you by Phil who – this time – will actually go on a short vacation trip over the weekend, hopefully also slurping drinks in the sun as our beloved Alena still does. Enough chit chat though, let’s get to the far more interesting updates. As mentioned on the forums, this year there will not be any fresh beards or facial hairstyles. 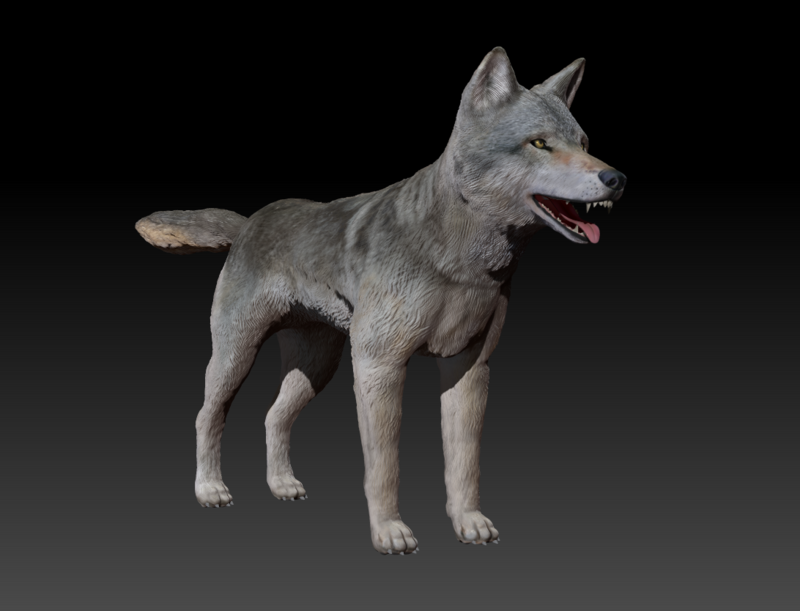 We decided to spend more time polishing the work on Timbergold Trails and to invest our efforts into core content, such as the upcoming Gray Wolf. Of course, we will still participate in creating awareness about cancer and hopefully improve regular and early check-ups. Check out some of the team members trying their best at growing a mustache on Instagram. And of course all existing beard styles are available in the in-game shop where we will give $2 per sold mustache to charity. We want to thank everyone who supports this movement and of course encourage everyone to take this seriously. Don’t play it down – early and regular check ups play a vital role and it is up to everyone of us to make an effort. Last week, we officially announced the Gray Wolf and we are humbled by your feedback so far. It feels like we made the right decision to go for this amazing animal and we are closely observing any feedback. So don’t hold back and let us know what you think, hope for and more! Last time we shared work-in-progress screenshots and this week it is time for some moving images! Still taken from early development, we were able to steal a short video from Morris and Moe showcasing animations. Let us know what you think! As we move on with increasing momentum on the Wolf, it might get a bit quieter in the next weeks when it comes to updates. Of course we are still monitoring data, your feedback and more and will jump on issues as we identify them. Here is a reiteration of yesterday’s game update with a sneaky addition (we are working on increasing the amount of possible clues on Timbergold Trails) and of course we are looking into a solution for equipment that was placed beyond the recently updated borders on Timbergold Trails. All the best from theHunter team and a snowy Stockholm! this week’s status update is brought to you by Phil – who is not on vacation in Thailand, slurping drinks in the sun – but all the happier to write these words. It has been one week since the release of Timbergold Trails and we are thrilled about all the feedback that you left us. It makes us very happy that you enjoy the new reserve, animals and shared your feedback about the positive and of course the negative stuff as well. We continue our work on fixing the initial problems of the patching system, border crashes and more and improved on the failed patch this Wednesday. It will undergo more testing and will hopefully be ready for next week. Slightly tricky but all the more enjoyable from our end was the announcement of the next species in the EHR and it is finally happening. After seven years, theHunter will bring Grey Wolves into the game. We will gradually share more news about this milestone in the upcoming weeks and like you to meet first screenshots, which is taken from early development. It seems that the last patch brought even more uninvited guests than anticipated! Honoring the yearly tradition, you can find a new beast variant of an animal in the game – at your own risk – next to spooky sales in the store and a mission to win a unique trophy! With Wednesday’s patch, we also introduced a new feature called Contextual Help. Our aim is to help the newest of players to learn the ropes of theHunter. As many of you know, it takes quite some time to understand and get good at this game. While we have an excellent, community-driven wiki, many video and text tutorials and divine support from all the experienced hunters on the forum, it can still be difficult to grasp what to do during your first hunts. Enter the contextual help system which will give you hints based on what you do. We have added the first hint, which tells player that running will spook animals. More hints will follow in the future and as always, we would love to hear what you think about this. Hint: You can turn off the feature in the launcher game settings and we will add a function to en / disable it from within the in-game settings as well. And finally, to keep you in the loop, here is a selection of what is currently in progress on our end. This list does not include everything as we don’t want to promise things that we can’t deliver (and this still counts for this list as well) but we want to reassure that we are continuing to work on your feedback. Increased the chance of bighorn sheeps to start fighting which will increase the amount of clues on your HunterMate. All the best from a sickness struck theHunter team and have a great hunt out there! Let us know what you think in the Discussion. Welcome to our weekly status update. We start by looking back to the latest highlight, Whiterime Ridge. The addition of the latest hunting reserve has been a success and well received by players, especially those who were waiting to hunt Bison and the like in cold and solitary lands. In numbers, there have been more than 175.000 hunts in Whiterime Ridge since its release. This translates to over 200.000 harvested Bison, 89.000 Sitka Deer, 37.000 Snowshoe Hare and 19.000 Arctic Fox. That is some pretty good hunting, keep it up! Although the new reserve has been loved and well received since its release, the game has been plagued with subsequent issues, leaving some of you unable to play theHunter at all. This is unacceptable and it’s all hands on deck to fix bugs/issues. Some are more complicated than others so bear with us as we sort it out. Full steam ahead. Today we have released a second patch with fixes and added tools to collect data on complex issues. The issue causing bear barrels and hog feeders to show an incorrect number in the launcher and in the web has finally been fixed. There was no bait lost as a result of this bug, however, it had a negative impact on gameplay for many bear and pig hunters, so here is the compensation we are offering. Everyone who will visit www.thehunter.com and log in to the game starting from this Friday, October 23th until November 5th, will receive 1000 units of bear bait and 1000 units of hog bait for free. The Happy Camper Heated Tent! It will allow you to fast travel to tents after succumbing to hypothermia while providing a fresh look as well. Just be sure to do some push ups before carrying it around for long distances. You can find it discounted in the store from today. Finally, we are thankful and really appreciate the communication with you, theHunter community. You remind us what is important, by praising as well as criticizing alike. as our beloved Alena is still on vacation, we present you another slightly larger game update instead of the regular status update. Spooking – Will not work on dead mallards. The dog systems have been polished and your furry friend will now correctly spook other animals. No more immersion breaking super stealth dogs. This also brings much more attention to your dog’s skills. “As many of you have noticed the animals in theHunter do not really care that there is a whole bunch of Labrador Retrievers running around the Evergreen Hunting Reserve. The dogs can bark, just sit in plain sight of a deer or rush around among a flock of geese on a field and it would not upset any of the animals. This was, as many of you understand, not our intention. Several of the skills the dog have are based on that the dog should spook animals but these skills are rendered pointless for the moment. Until now. We have fixed the bug so that the barking can spook animals. The issue that the dog won’t spook animals that see it has also been addressed. Luckily the more you level up your dog, the more stealthy it will get. The first dog vest is out! You can now hunt in blazing partner looks! We have fixed a couple of things regarding the latest sound issues and looking forward to your feedback. this patch brings fancy changes so we decided to make the game update a little fancier as well (mostly we just want to fool around with Alena’s established systems while she is on vacation). 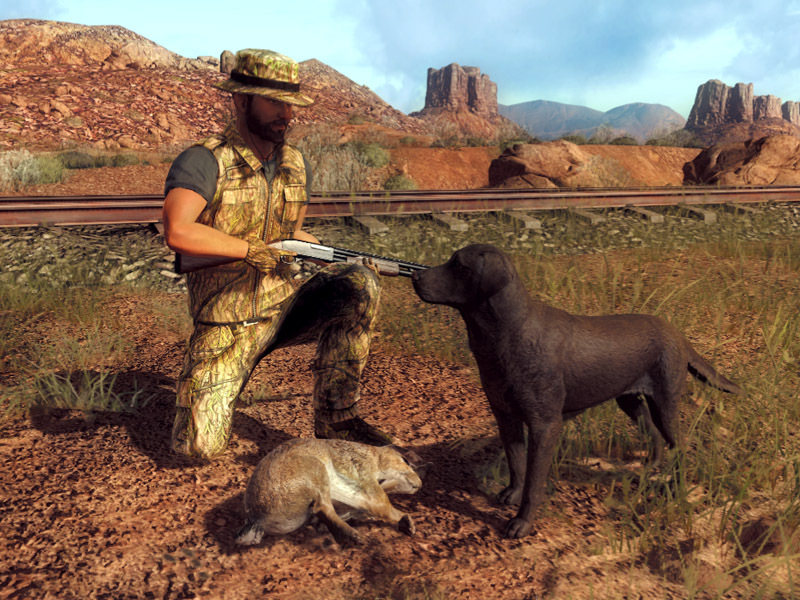 By popular demand your furry friend is now able to retrieve rabbits as well! Enjoy the hunt and let us know your stories! As announced last week, we now have removed the Own Limitation on (almost) all items. Now you can get all the bundles you want, just be sure to check our refund policy. You can find a new category at the top of the store called “Sales”. Here you can find all the items that are currently on discount at a glance. Beware: The layout might be as crazy as the discounts! When you enter the store you will now come to the Bundles Page by default. 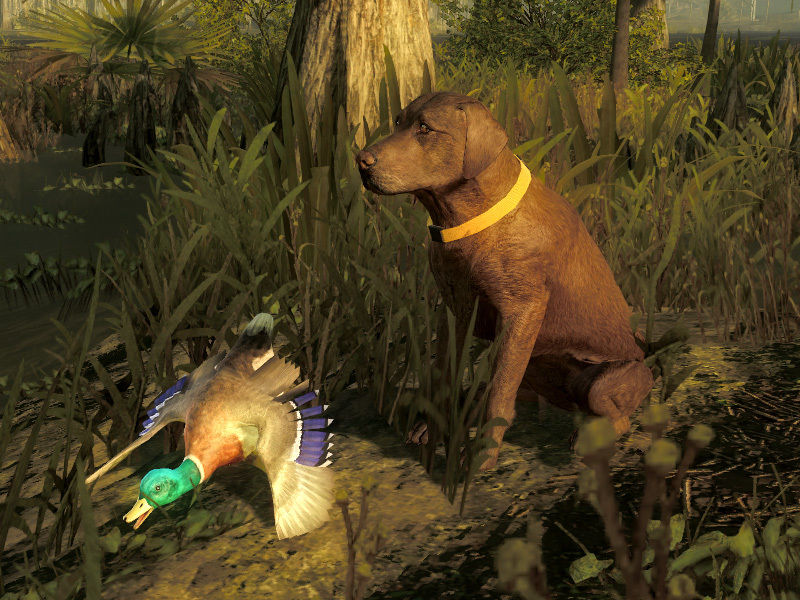 Check the store for the new Sneaky 3D Summer Field Camouflage as well as new Dog Collars!